While this may be the most impressive Haut-Batailley I have ever tasted, I am reluctant to go out on a limb and give this wine a higher rating until I can taste it a few more times from both cask and bottle. The wine exhibits a dense purple color, as well as a wonderfully sweet, classic Pauillac nose of black currants and cigar box notes. 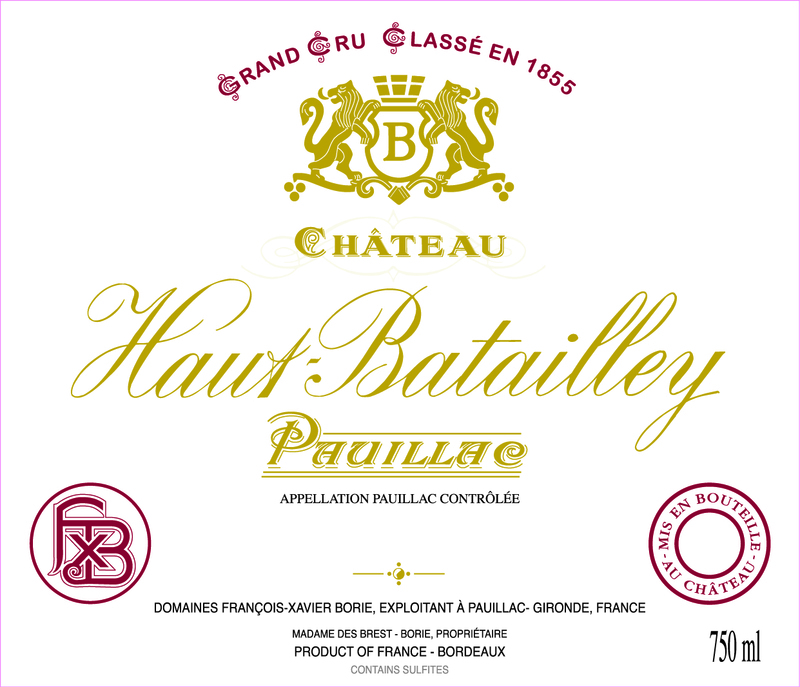 Powerful for Haut-Batailley (normally a light, elegant, supple Pauillac), the 1996 possesses intense fruit, medium to full body, ripe tannin, and a surprisingly long, layered finish. This appears to be a classic, and may merit an outstanding score. Anticipated maturity: 2003-2015. Readers need to take a serious look at this estate, which has always produced good but rarely inspiring wines. The 1995s and 1996s may merit an outstanding rating after a few years of bottle age. These are sleeper selections in both vintages.